You can imagine my intrigue when, scanning the crisp aisle at lunch, I came across what can only be described as a novel idea. Pie flavoured crisps! 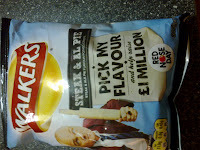 And of course, the chosen flavour had to be steak and ale pie – a classic by all means (but cleverly branded as “Steak and Al” to tie in with comedian Al Murray’s backing of the Walkers crisp promotion for Red Nose Day). So let’s get to the crunch issue...what did the crisps taste like? 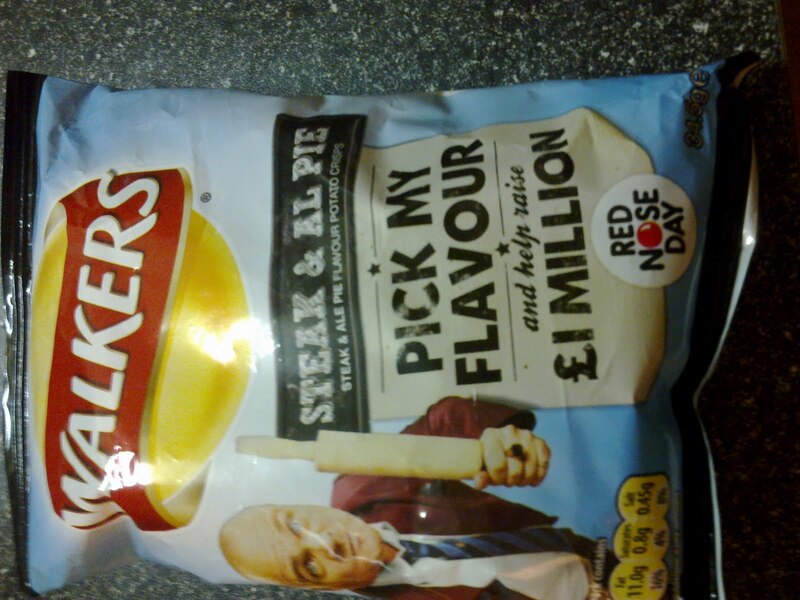 Well, I have to be frank with you (that’s Frank Skinner Roast Dinner, by the way – another Red Nose Day Walkers option) and say that the pie flavoured crisps were a letdown. While not tasting horrible by any means, they certainly did not have me going “wow that really is pie in a crisp!” There was definitely an over-powering taste of the ale extract flavouring, which was rather ale-arming. It certainly wasn’t the crisp finish I was expecting when delving into a pack of Walkers (and it cost me a packet compared to cheaper non-brand alternatives too). All in all, what really hit home is that if you want a pie-flavoured product for lunch...buy a pie! And in any case, surely you can find and eat pies morning, noon and night, so why go for any pie tasting imitations? It just doesn’t make sense!